Times are a changing; and changing fast. During last many decades most Hindu nationalists have kept the appreciation of their hero, Nathuram Godse under wraps. The programs appreciating his politics did use to make small news here and there some time; but as such it was a muted act not much publicized and generally kept as a low key affair. During last few years Pradeep Dalvi’s play in Marathi, Mee Nathuram Boltoy (I, Nathuram speaking), attacking Gandhi and upholding Godse, drew packed houses in various places in Maharashtra. Many people had also protested against staging of this play off and on. With the new dispensation coming to power (Modi Sarkar, May, 2014) many a communal assertions, acts and intimidations are up in the air. It seems these acts are being silently appreciated by those in power. This inference is logical as none in the positions of power have either reprimanded or opposed these Godse acolytes. The main reason is that due to the compulsions of power they do not openly support the Godse appreciation clubs. They also do not condemn these voices as they too belong to the Godse ideology of Hindu nationalism. This Hindu nationalism in popular parlance is projected as ‘Nationalism’, keeping the Hindu prefix in the silent mode. The latest in the series of acts-statements by this Godse appreciation clubs is the bhumi pujan (earth prayer-a ritual before beginning of new construction) by Hindu Mahasabha for Godse temple in Meerut (Dec 25 2014). The activists of Akhil Bharatiya Hindu Mahasabha are all set to build the country's first temple for murderer of Mahatma Gandhi in Meerut. There are several demands from the Hindu Mahasabha offices to install his statues. The Hindu Mahasabha has requested land from the Centre to erect a statue of Godse in the national capital. The paperback issue of Godse’s book is already running into second reprint. The BJP MP Sakhshi Maharaj recently called Godse as Nationalist; of course he retracted it soon; apparently to ensure that the ruling party, BJP, is not embarrassed on the issue. At the same time, BJP’s parent organization RSS has come out with two books meant for internal circulation. These books claim to ensure that RSS viewpoint is reached to its Pracharaks, swayamsevaks. These books are RSS-Ek Parichay (RSS-an introduction) and RSS-Ek Saral Parichay (RSS-a simple introduction), the second of which is written by veteran RSS member MG Vaidya. Mr. Vaidya claims that "a narrative of accusation was built around RSS" so the book to dispel that. Essentially these books aim to dissociate RSS from Godse. While the Prime Minister Mr. Modi is maintaining maun (silence) on the subject the opposition leaders are strongly criticizing Hindu Mahasabha's and others’ views on the murder of Mahatma Gandhi by Nathuram Godse. How do we understand the whole issue? The major backdrop to understand the issue is to see the politics of Hindu nationalism as expressed through Hindu Mahasbah and RSS. These organizations remained aloof from freedom struggle. Hindu Mahasabha (HM), was more interested in the immediate participation in politics, as the flag bearers of Hindu communal politics, and the RSS wanted to concentrate on making a network of ‘cadres’ before forming organizations and infiltrating into different arena of education, culture, electoral politics and state apparatus. There was a lot of overlap in the agenda of these organizations as they were both working for the common goal of Hindu Nation. 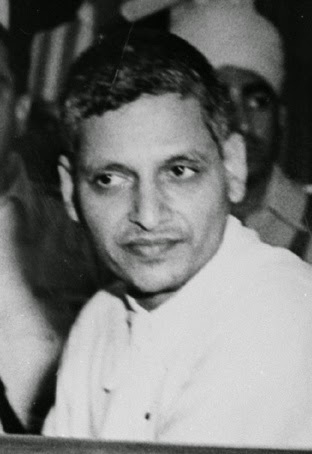 Nathuram Godse, ‘uniquely’ symbolized the fusion of both these two trends. RSS could get away with dissociating with Godse or rather underplaying Godse’s association with RSS as there was no official record of members of RSS, and so they could disown Godse at legal level. In 1930 Godse joined RSS and very soon rose to be the bauddhik pracharak(intellectual propagator). Like both HM & RSS he was ardent Hindu Nationalist. He held Mahatma responsible for appeasing Muslims, and thereby the formation of Pakistan. About his association with RSS and Hindu Mahasabha, he writes, “Having worked for the uplift of the Hindus I felt it necessary to take part in political activities of the country for the protection of just rights of Hindus. I therefore left the Sangh and joined Hindu Mahasabha (Godse, ‘Why I Assassinated Mahatma Gandhi’ 1993, Pg. 102). Hindu Mahasabha at that time the only political party of Hindutva, and he became general secretary of its Pune Branch. In due course he started a newspaper, as founder editor, called Agrani or Hindu Rashtra. As such Gandhi murder was not on the charges propagated by them (Partition and insistence on paying Pakistan’s dues (55 crore) from the treasury), but due to the basic deep differences with the politics of Gandhi and that of the followers of the Hindu Rashtra. These two reasons are proffered merely as a pretext for the same. What does Godse mean when he says that he left RSS? Is it true? This truth behind Nathuram’s leaving RSS, is clarified by his brother Gopal Godse. In an interview given to ‘The Times of India’ (25 Jan 98); Gopal Godse, who was also an accomplice in the murder when tells us the reality behind Nathuram’s statement that ‘he left RSS’. Gopal Godse says “The appeasement policy followed by him (Gandhi, added) and imposed on all Congress governments’ encouraged the Muslim separatist tendencies that eventually created Pakistan…Technically and theoretically he (Nathuram) was a member (of RSS), but he stopped workings for it later. His statement in the court that he had left the RSS was to protect the RSS workers who would be imprisoned following the murder. On the understanding that they (RSS workers) would benefit from his dissociating himself from the RSS, he gladly did it." So this is the logic of Godse saying that he ‘left’ RSS. The dual membership (RSS+Hindu Mahasabha) was not a problem. Thus the murder of Gandhi was steeped in both the streams of Hindutva politics, RSS and HM. His editing the paper called, ‘Hindu Rashtra was quite symbolic. This murder had a broad sanction of the followers of HM and RSS, as they celebrated Mahatma’s murder by distributing sweets, “All their (RSS) leaders’ speeches were full of communal poison. As a final result, the poisonous atmosphere was created in which such a ghastly tragedy (Gandhi’s murder) became possible. RSS men expressed their joy and distributed sweets after Gandhi’s death." (excerpt from Sardar Patel’s letters to M S Golwalkar and S P Mookerjee.). Godse was no freak. The way Hindu communalists were spewing poison against Gandhi, it was the logical outcome of their politics. And Godse had the ‘benefit’ of the teachings of both RSS as well as HM. They used the word wadh for this murder. This word wadh stands for killing a demon who is harming the society. In a way Gandhi murder was the first major offensive of the Hindutva politics on Indian Nationalism; in a way it was to herald the onset of bigger strides which Hindutva politics has assumed during last few decades, and this is what we are witnessing today. So though officially RSS family kept dissociating from Gandhi’s murder by Godse, in private many a members not only uphold the dastardly act, but also have even succeeded in undermining the importance of Mahatma and they do ‘sympathize’ with Godse. This complex trick kept going on so far. Now with Modi Sarkar there is no need to hide the true ideology and thinking of this combine and so the open efforts to glorify Godse!